Say wow to the brow. Our brow often tells others about whether we are open and receptive to conversation, interaction, and relationship. If your brow is sending the wrong signals, then let’s see if a brow lift is right for you. A brow lift – or forehead lift – is a procedure that restores a more youthful, refreshed, and cheery look to the forehead, eye brows and upper eyelid areas. By removing excess skin and muscle, the procedure corrects drooping brows, improves the horizontal lines and furrows that can make you look angry, sad or tired, and tightens the skin of the upper eyelid. The incisions are well hidden along the frontal hairline or in the hair, and, with the use of an endoscope (a small camera that allows the procedure to be performed with minimal incisions), the incisions are almost impossible to see. 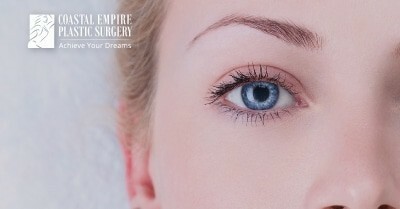 The particular type of incision to be used is dependent on your goals and desires. Also, a brow lift is often performed in conjunction with eyelid lift or a facelift to provide a smoother, overall balanced look to the eyes and face. A brow lift results in a more youthful forehead and brows. Our delicate touch and advanced endoscopic techniques mean less discomfort, less bruising, and a faster recovery.